Aging skin is noticeable to senses other than sight. For seniors, dry skin can be extremely itchy and uncomfortable, and it's a common ailment suffered among their age group. In fact, according to a study published in Skin Research and Technology, dry skin affects about 75 percent of adults 64 and older. A study published in the Journal of the European Academy of Dermatology and Venereology revealed that seniors are more susceptible to dry skin because as we age, the epidermal layer gets thinner, there's a reduction in skin cell turnover and the skin's ability to retain moisture decreases. So, while the phenomenon makes scientific sense, it can lead to serious irritation and itchiness for seniors. Use this guide to help your senior loved ones keep their skin moisturized, healthy and comfortable. 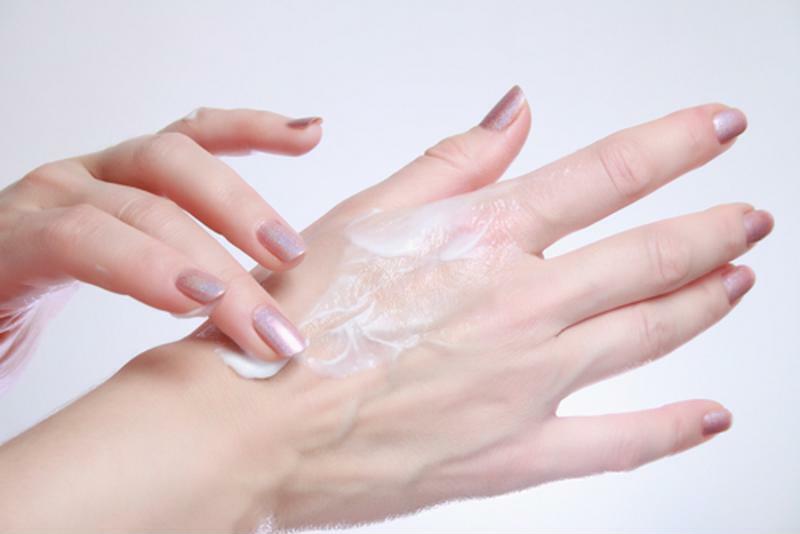 To keep skin soft, seniors should apply body lotion at least once a day, especially after bathing. After exiting the shower, seniors should pat their skin dry with a towel and immediately use lotion to lock in that moisture. Caregivers and retirement community staff may need to assist seniors by applying the lotions on their backs and other hard-to-reach places. Have senior loved ones apply lotion as frequently as necessary. Dr. Robert Butler, a former professor of geriatrics and adult development, advised seniors who are experiencing itchiness and dry skin to avoid showering under hot water. Frequently bathing in high-temperature water can make dry skin worse, so seniors may want to shower every other day and use lukewarm water. Additionally, Butler suggested older adults use moisturizing shampoo to combat dryness of the scalp. While age-related dermal problems are common, there could be other sources of dry skin, too. Many seniors take multiple medications, and the combinations of ingredients and side effects can lead to dry skin. It's important that your senior loved ones' doctors have a comprehensive list of the medications they're taking. Additionally, there are other, more serious ailments that could be causing dermal discomfort. Seniors' primary-care doctors may refer them to a dermatologist if they suspect the condition is related to psoriasis or eczema, which may require specialized care. If you notice your senior loved ones constantly scratching itchy skin, help them relieve irritation with these tips. With the right care, their skin can be soft and itch-free.